Yes! Yes! YES! 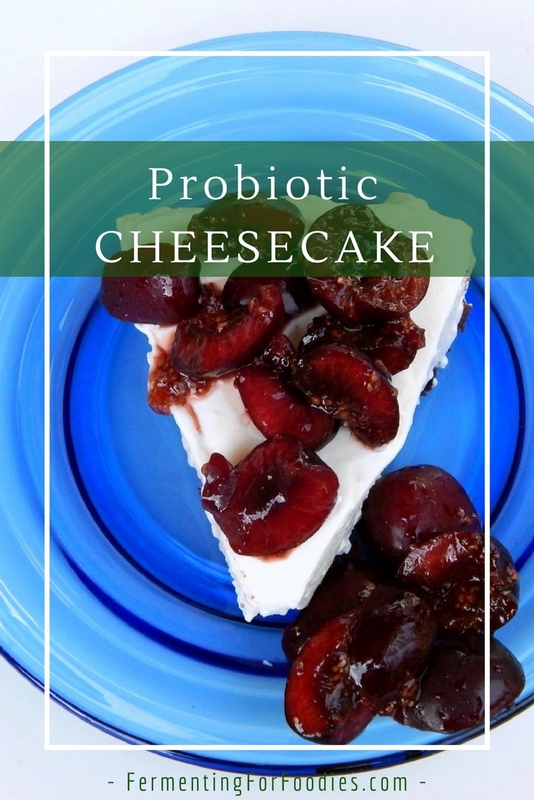 It is possible to make a probiotic cheesecake. Not only that… it’s possible to take this basic, no-cook cheesecake recipe and turn it into a delicious sugar-free, gluten free and whatever flavour your heart desires cheesecake! Whether you use kefir cheese, homemade cream cheese or yogurt cheese, this is a great basic recipe for a no-cook fruit cheesecake. Mix together cookie crumbs, butter and sugar in a bowl until well incorporated. Press into a spring-form cake pan. Beat together the cheese, sugar and vanilla in a bowl until smooth and spreadable. Whip the cream separately, then whip it into the cheese mixture until smooth. Pour cream cheese mixture onto the prepared crust. Smooth the top with a spatula, and refrigerate until firm, about 2 to 3 hours. Top with the fruit right before serving. 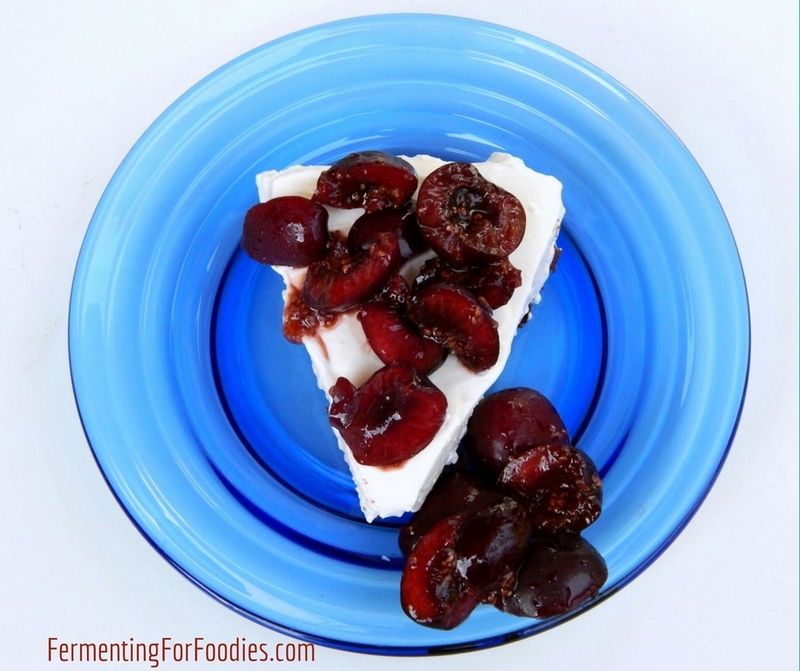 -To make your cheesecake probiotic, use kefir cheese, yogurt cheese or homemade cream cheese. Make sure your cheese is firm by pressing out the whey. Black Forest Cheesecake: chocolate brownie crumbs pressed into the bottom of the pan with cherries on top. Lemon Blueberry Cheesecake: graham cracker crust and blueberries with lemon zest on top. Raspberry Swirl Cheesecake: Stir 1/2 cup of fresh raspberries into the cream cheese filling so that it swirls into the white cheese layer, then top with more fresh raspberries. Caramel Pecan Cheesecake: Roast and chop 1/4 cup of pecans. Add them to the cream cheese filling, then top with caramel sauce. I plan on making a kefir cheesecake for thanksgiving but want to make it a pumpkin cheesecake! How can I add a can of pumpkin to this recipe? I’m guessing you want a non-cooked pumpkin cheesecake recipe. I’ve actually never tried it, but it sounds delicious. I would maybe sub in the pumpkin for the whipping cream, though it won’t be as firm. 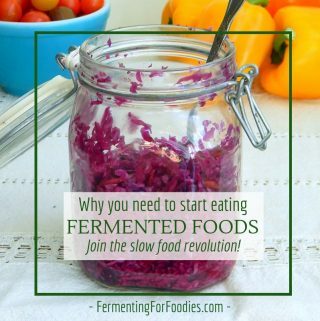 So I would use something like gelatin or agar to the recipe. Alternatively you could use a cooked pumpkin cheesecake recipe and just sub kefir cheese in for cream cheese. 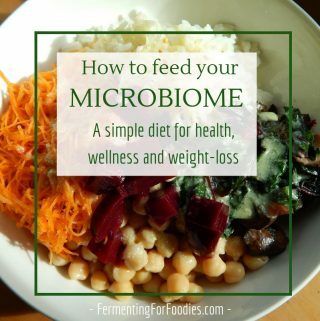 It would still be probiotic if you used cultured whipping cream on top. I would love to hear what you end up doing. I’d like to try it myself next year. (Canadian Thanksgiving is early October). Been making kefir for awhile. Finally started learning how to make cheese. Way cool. This recipe is absolutely delicious!